The Inverted Y is a diverse breeding program, focusing on Amateur-friendly Arabians and Anglo Arabians for the sport horse disciplines. Our Arabian breeding program stresses athleticism, beauty, disposition and unique coloring not always seen in Arabians. 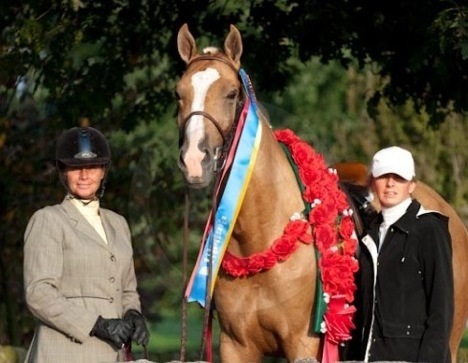 The Anglo Arabian breeding program has a focus on the Working Hunter and Dressage disciplines. Thoroughbred mares, all at least 16.2 hands, are carefully selected for their dispositions, trainability, elegance, movement, conformation, and proven performance pedigrees. These mares are then bred to Arabian and Anglo sires with size, balance, athleticism, and people oriented dispositions to produce the finest blending for today's competitive sporthorse arena.